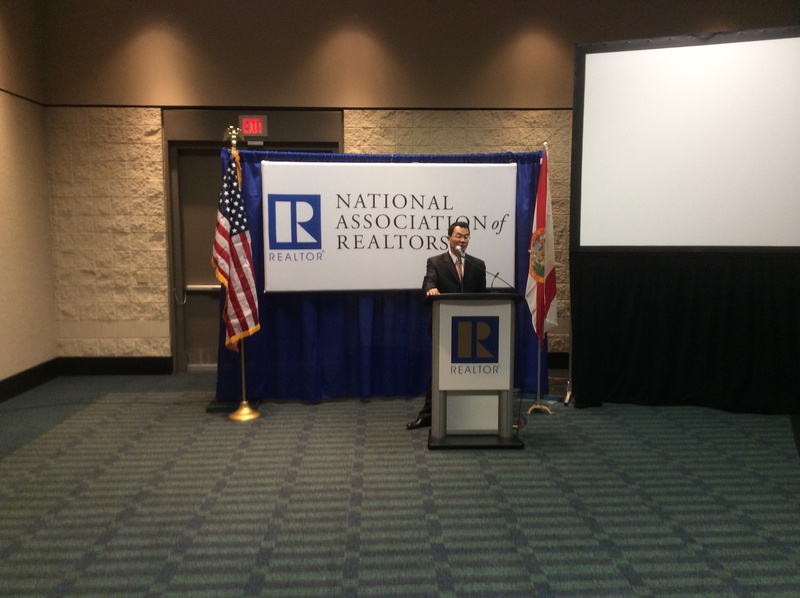 ORLANDO, Fla. – The market for existing homes sales is healthy and 2016 will be the best year for home sales in a decade when the final sales totals are recorded, said Lawrence Yun, chief economist of the National Association of Realtors, in a speech Friday at the annual Realtors conference in Orlando. Yun said he expects existing home sales will be about 5.36 million in 2016 – the best year since 2006 when 6.47 million home sales were reported. America’s expanding economy, steady job creation and low mortgage rates are all contributing to the uptick in home sales. One of the problems facing the industry is a shortage of supply. High home prices in places like California and New York are also affecting home sales. Yun urged homebuilders to construct more single-family homes that are affordable rather than the upscale properties many are building now. Millennials, who are now renting rather than buying, will become a factor in the home market in the years ahead but currently are saddled with repaying student debt and uncertain job prospects. Millennials are the largest demographic group in the country, but many still are living with their parents or are remaining renters. While many millennials are entering the workforce with considerable student loan debt, so far, that debt does not appear to be a material threat to ultimate homeownership. Millennials with high student loan debt also tend to have higher incomes and can afford to purchase a home, he added. Rising interest rates will make home buying a bit more costly in 2017. Yun predicted that 30-year mortgage rates will rise to about 4.5 percent at the end of 2017, up from 3.6 percent currently. Multifamily housing construction is expected to decline in the years ahead. Yun predicted multifamily starts will decline 0.8 percent in 2017.